If you reside in the Lawrence School District on this sliver of Long Island and you either disregarded or discarded the oversized card you received in the mail, you probably do not know that there is an important election on Tuesday, May 15. If it is by design that the fact of the election is being kept quiet, then those who manage these things are indeed doing a great job. But at the same time, those who are up for reelection next week seem a bit frustrated and are perhaps underappreciated for their dedication and diligence for the better good of our schools and community. So, in brief, this is the whole story. Next week, two board of education incumbents are standing for reelection. They are Heshy Blachorsky of North Woodmere and Abel Feldhamer of Cedarhurst. Both have served the district with distinction. Feldhamer is running unopposed and Blachorsky has only fringe insignificant opposition. So, if these two men are going to be reelected no matter what happens next week, why is it so important to go out and vote on Tuesday? The population here in the Five Towns and specifically this school district has grown exponentially over the last two decades. It may be that this younger, family-oriented population has no idea what longtime residents of this district and those in leadership positions on the school board in the early days endured to get where we are today. To that end, it is important to single out leaders like board president Murray Forman and former presidents and current board members Drs. Asher Mansdorf and David Sussman. 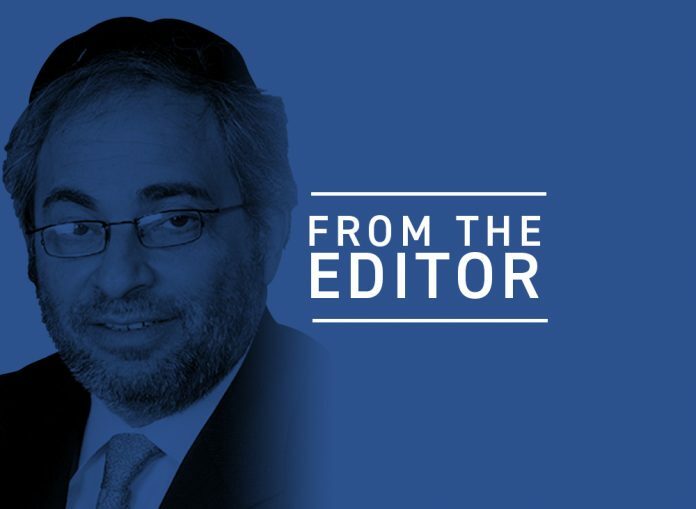 It is also important to note that the blistering opposition that once existed to yeshiva students who reside in the district and, through them, toward their families, is still out there, percolating beneath the surface, waiting for an opportunity to reemerge. Coming out in force next week tells our critics we are still here and things are going quite well for the district. You had to be here during that period to appreciate the intensity of the hostility that was continuously directed at the local yeshiva-educated community. The not-so-pleasant little secret is that the effort continues today unabated, though greatly reduced, disarmed, and wounded by the utter absurdity of the cause from the very start. An even greater and more important credit to the current school board that runs and directs district schools and education is that they never conducted themselves in an unkind fashion, which many might have expected when viewed in context of the once-upon-a-time intent to restrict access to rightful facilities and funding for district students who chose to attend private schools. Over all these years — and it is almost two decades now — the hallmark of the current board led by Mr. Forman is fairness and equal access for all students of the district. The idea that public school students are entitled to an edge over private school students was systematically done away with once Dr. Mansdorf was elected to the board and was in time followed by the election of the others who constitute today’s education board in the Lawrence District. So this is the point: it is vital to set aside a few moments on Tuesday to come out to vote as a way of simply saying that we are here and we care. We are not suddenly disinterested because there is a board safely in place for now that is sensitive to and understands the dynamics of a unique community like ours. In addition to the people running who have contributed so much to the process of dealing with a longstanding wrong, there is also the matter of the annual school budget. Unlike other school districts where the tax levy is increased as education prices rise, the annual expenditure here has been stationary for several years, with the budget at $102 million. How that has been accomplished for more than a decade is a result of the determined efforts of the trustees to use the resources at their disposal prudently and responsibly with an eye on the purse strings of the average residents of the community. The big deal here is that year after year, costs have remained the same as education scores have continued to improve and facilities in need of repair have been renovated and modernized. Conventional wisdom and pressure from the outside dictates that these costs need to go up each year, which should translate into higher taxes for residents of the area. And that is where the main point of contention is. Holding these costs down defies the routine in other school districts and probably flies in the face of the fashion in which school districts around the country function. The Lawrence School District has over these last ten or so years blazed a new trail of educational fiscal responsibility. School districts here on Long Island and in other parts of the United States have been influenced by the Lawrence District and are even emulating the work of our board here to not raise taxes while improving the quality of the education being dispensed. As a final note on this matter, a definite sign that the present board is serving all children of the district equitably is the fact that there is no substantive opposition to either of the two incumbents up for reelection next week. If the critics of the district had a legitimate complaint about educational services being dispensed in an imbalanced way, you can rest assured they would be fielding their own candidates to try and defeat the incumbents. They are not doing that. The weakness and danger here is apathy, complacency, and the current board’s ineffectiveness on the matter of informing the community about what is at stake. Now it is just a few days before the election and it is expected that very few people are actually going to go out to the polls and cast a vote in favor of candidates who are committed to staying the course — that is, maintaining the current budget level, improving the quality of education, and continuing to update the aging facilities. Election Day is Tuesday, May 15. It’s your move. Follow 5 Towns Jewish Times on Facebook, Instagram, and Twitter for updates and live videos. Comments, questions, and suggestions are welcome at 5TJT.com and on Facebook, Instagram, and Twitter.